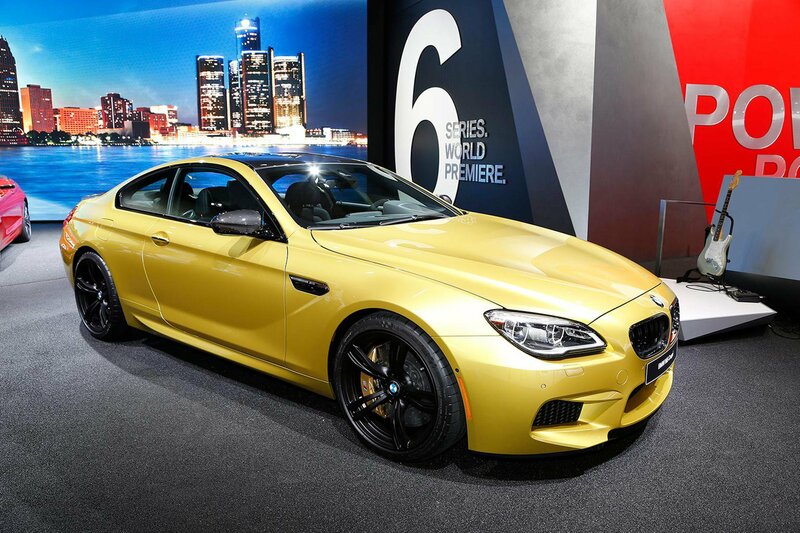 2015 BMW 6 Series face-lift - first pictures and specs | What Car? BMW has unveiled face-lifted versions of its 6 Series coupe, cabriolet and Gran Coupe models at the Detroit motor show. The 2015 BMW 6 Series has received subtle styling treatment over the outgoing model, including an updated interior and some exterior revisions. Changes over the current 6 Series are revised LED headlights, a refreshed kidney grille, reworked front and rear bumpers, and newly designed alloy wheels across the line-up. While the 6 Series engine choice remains the same as before, the entire engine range is now Euro 6 compliant, bringing with it improved fuel economy, CO2 emissions and slight gains in acceleration and in-gear performance. Petrol engines start with the entry-level 3.0-litre turbocharged inline six-cylinder unit, developing 316bhp and 322lb ft of torque in the 640i. Those wanting more performance can opt for the twin-turbocharged 4.4-litre V8 650i model, with 444bhp and 479lb ft of torque. In this guise, the 0-62mph sprint has been cut to 4.6sec - a 0.3sec improvement over the outgoing model. Buyers also have the choice of the diesel 640d - a 3.0-litre turbocharged six-cylinder engine producing 309bhp and 464lb ft of torque. In this variant, fuel economy is improved by 2mpg to 54.3mpg with CO2 emissions of 146g/km. All 6 Series models come in the same trims as before, with SE, Sport, M Sport offered on the standard cars. Heated leather seats, sat-nav, dual-zone climate control, front and rear parking sensors, and Bluetooth are standard across the range. New two-colour leather trims are offered among the options, including an updated version of BMW's head-up display function. Another new option is Driving Assistant Plus. It's a camera and radar-based system which incorporates cruise control, lane departure warning and BMW's Pedestrian and Collision Warning safety systems. It works by maintaining a safe gap to the car in front, alerting the driver to potential hazards and can brake the car to a standstill from up to 37mph if there is a risk of an impact. The equivalent coupe and four-door Gran Coupe models cost the same throughout the range, ranging from £59,430 for the 640i SE to £72,390 for the 650i M Sport. The equivalent convertible model adds between £5600 and £5900 to the price. The outgoing 6 Series is available with some tempting discounts, such as more than £11,000 off a 640i SE coupe and up to £16,000 off a 650i M Sport coupe. However, you may have to wait until this 2015 face-lifted 6 Series has been on sale for a few months before any form of discount is offered. If you're looking for a classy and comfortable grand tourer, then the BMW 6 Series coupe is extremely well priced among its rivals. The closest of those in terms of size, performance and opulence is the Mercedes S-Class coupe, which starts at £96,000 in S500 guise. Alternatively, the 6 Series Gran Coupe's key rivals - the Audi A7 Sportback and Mercedes-Benz CLS - are just as refined and well made, yet their entry-level versions are considerably cheaper to buy.